To speak of God in pain, says Barbara Brown Taylor, is to embrace both the biblical accounts of Christ’s suffering and death, and also the God who is present in our pain. This wise and compassionate book seeks to understand that presence with characteristic grace, sensitivity, profound biblical insight and truthfulness to human experience. Part One explores the ways that God’s presence can be discerned in the pains we experience in life: disillusionment, despair, betrayal, anger, enmity, family feuds, insult and injury. A series of reflections on biblical texts asks whether any good news can be found in pain. Part Two contemplates God’s suffering in the unique pain of Good Friday. 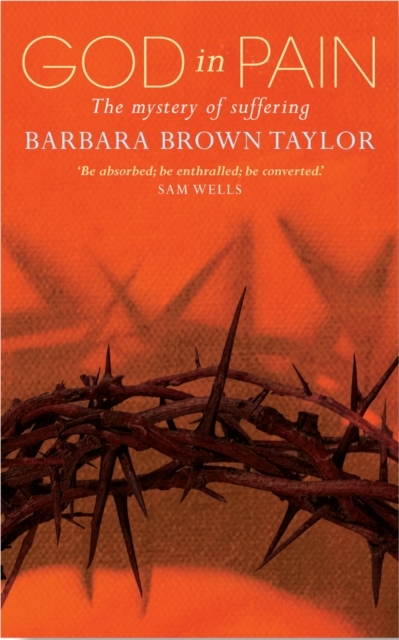 Reflecting on the story of Christ’s crucifixion, Barbara Brown Taylor goes in search of what God went to such great lengths to reveal to us. God in Pain engages with life’s most complex mystery with honesty and finds grounds for hope. Carmina Gadelica is an anthology of poems and prayers from the Gaelic oral tradition, the most comprehensive ever collected. They came from communities all over the Highlands and Islands of Scotlad, were often shared or performed in the evening ceilidh and therby passed on from generation to generation. Alexander Carmichael complied the collection in the second half of the nineteenth century, and in doing so created a lasting record of a culture and way of life that has now largely disappeared. In the Introduction, Carmichael recounts with great warmth and evident pleasure the hospitality which he received from the people whose songs and stories he was anxious to record "I have three regrets -" he says, "that I had not been earlier collecting, that I have not been more diligent in collecting, and that I am not better qualified to treat what I have collected." Nevertheless, Carmina Gadelica quickly became an invaluable resource for those wanting to study and understand Gaelic culture and for those wanting to experience the beauty and wisdom of its oral literature. 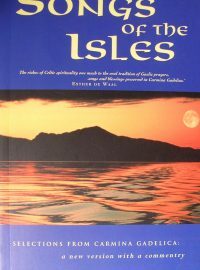 The isles in the title of this book are the Hebrides which lie between the west of Scotland and the north of Ireland, and the songs are the prayers an blessings which originated there between the sixth and ninth centuries. 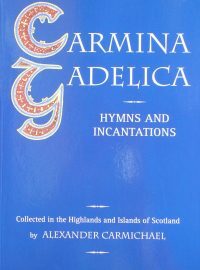 They remained a purely oral tradition until a hundred years ago when Alexander Carmichael collected and published them as Carmina Gadelica, the source book that led to the revival of Celtic spirituality today. These prayers and songs capture the remarkable spiritual vision of a people keeping faith through good and ill, ekeing out an existence in a world that was often harsh and inhospitable. They rejoice at the birth of a child o a good harvest, glory in natural beauty, lament in suffering, cry out for help or protection, and invoke God's blessing on even the most humble tasks. Until now we have only known them in the Victorian language of Carmichael's collection, bu in Kathleen Jones' fresh translation, thir poetic simplicity and power is fully revealed and we hear authentic Celtci voices speaking with conviction about life and death, hearth and home, land and sea, and the journey of the soul beneath the protecting power of heaven. The Northumbria Community is a diverse, worldwide, Christian Community, committed to a new way for living. This website is our online shop, offering resources for people ‘on the journey’, and raising funds to support the life and work of the Community.